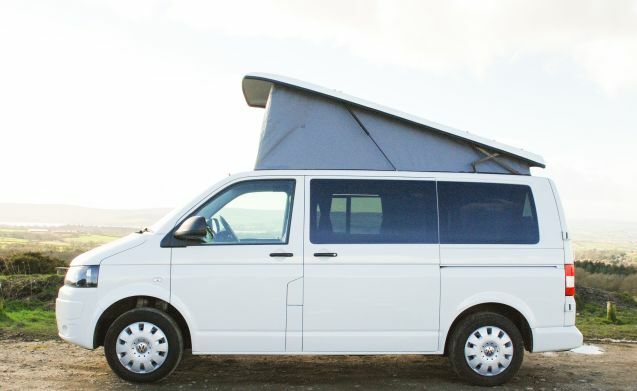 Superb Campervan - have a real Adventure! 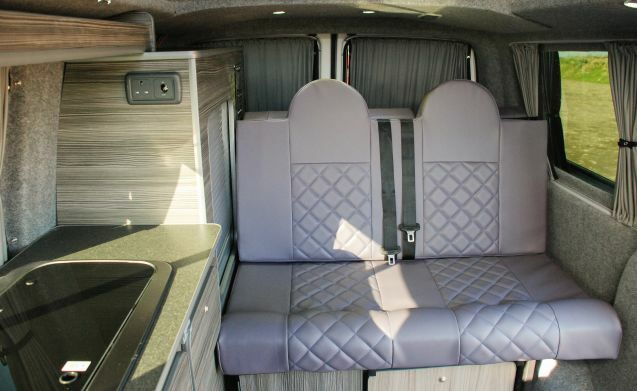 A brand new campervan conversion for 2018, this really is one of the best VW campervans you could hire for your Scottish adventure. 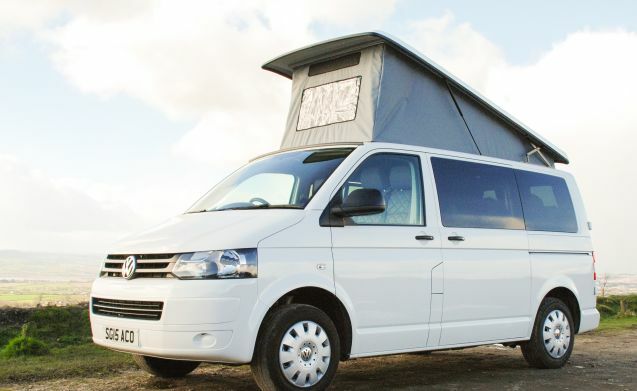 Superbly kitted out and very comfortable for up to 5 people (4 sleeping), this is a great campervan that is sure to help you have a wonderful holiday. 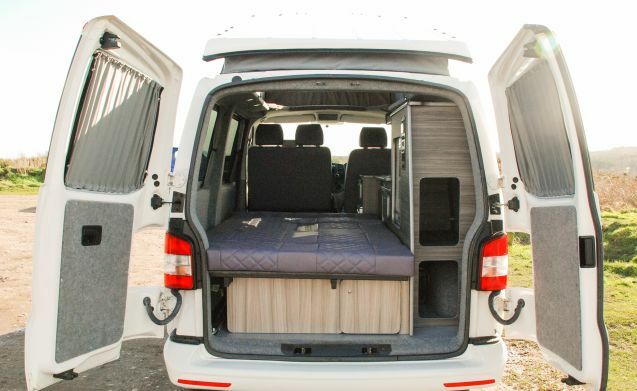 Easy to drive and to use, you can go where you want, when you want and be sure of a great night's sleep when you reach your destination. 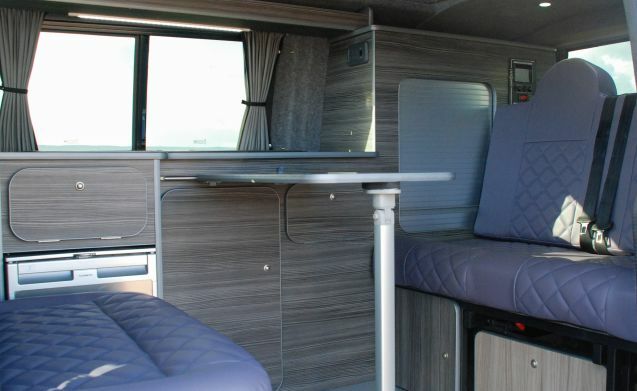 This is a 2015 T5 model, in superb condition and with all the comforts you could want, along with great fuel economy and fully set up for both free camping and for staying on one of Scotland's many beautiful campsites. Of course, you are not limited to Scotland: feel free to take the van further afield, including to Europe (by prior arrangement only). 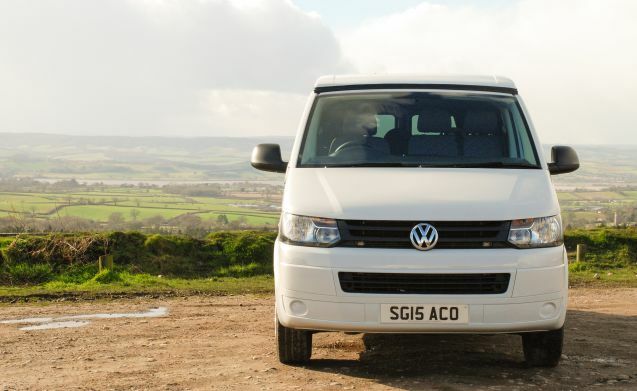 Collect your campervan from Edinburgh city centre, or arrange for collection from one of Edinburgh's train stations or the airport, and your adventure can begin. 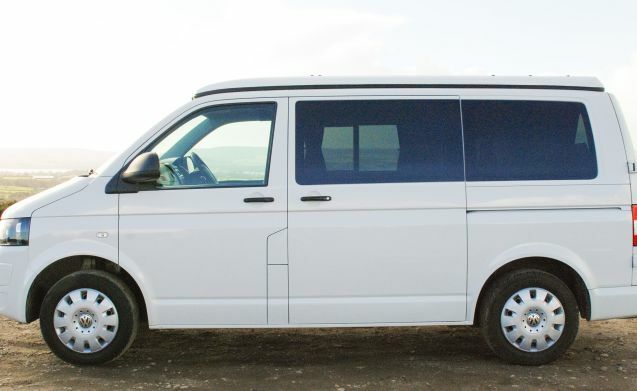 Specification Includes: Economical 2 litre diesel engine. Sat nav. 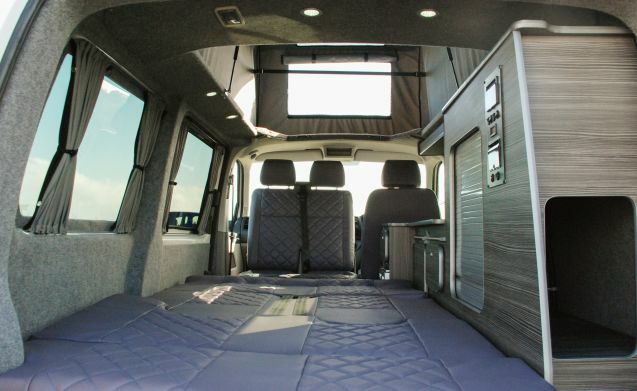 Ample floor space. 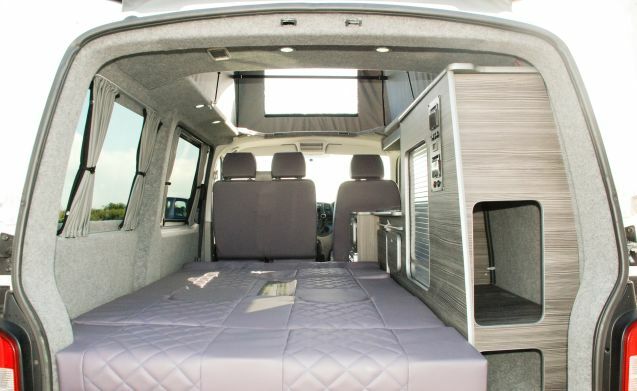 Easy to operate pop up top giving ample head height in the van. Luxurious Rock & Roll double bed. 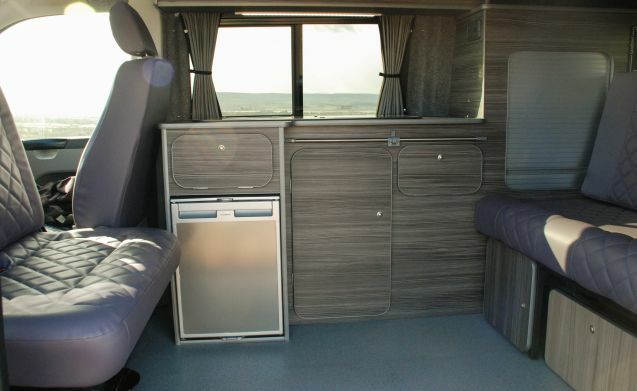 Additional double bed in the roof space. 2 ring gas hob. Sink with on-board water supply. Fridge. Removable table. Pots, pans and a kettle. Crockery, tableware and glassware for 4 people. 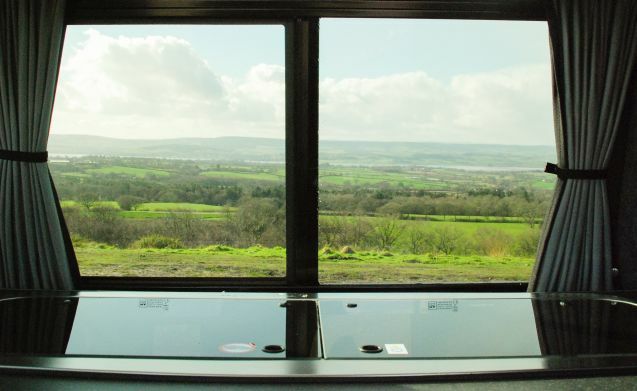 Privacy glass throughout the cabin. Blackout curtains all round. Electric hook up for use at campsites, leisure battery for wild camping. Power socket and USB ports. Swivel front passenger seat (2 person). Outside table and 2 chairs. 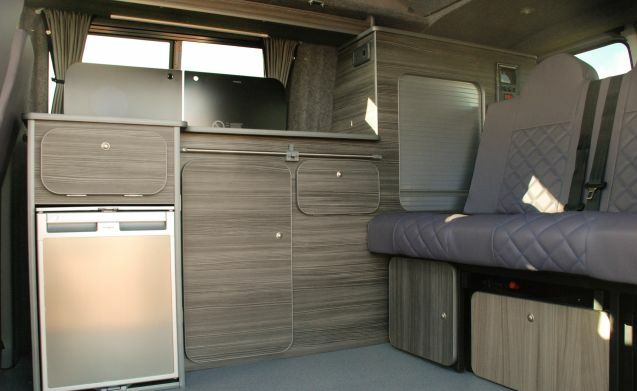 Ample storage, including under seat lockers. 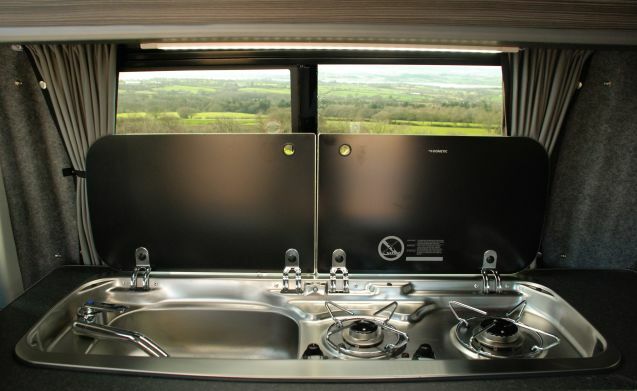 Comprehensive users guide to help you get the best out of your campervan experience. Available for festivals (by prior arrangement only). Available for EU travel (by prior arrangement only). Please note that in order to meet the requirements of my insurance company, the Security Deposit must be paid directly to me and not to Goboony. The Security Deposit is £500 for drivers aged between 25 and 75 years old, and £1000 for drivers aged between 21 and 24 years old. It is refunded 7 days after the end of your holiday assuming that there is no need for any deduction.